Berlin, 11 July 2018.The Baltic Sea Philharmonic has launched its landmark tenth season of international touring with concerts at the Kissinger Sommer music festival in Bad Kissingen, Germany. On 7 July the orchestra, under its Founding Conductor and Music Director Kristjan Järvi, made its debut at the prestigious Bavarian music festival with a new programme called ‘Nordic Pulse’, which showcases music by composers from the Baltic Sea region. Then on 9 July the Baltic Sea Philharmonic performed its unique ‘Waterworks’ programme in a spectacular concert presentation featuring cutting-edge lighting and sound design. Bavarian public-service broadcaster Bayerischer Rundfunk recorded both performances in Bad Kissingen’s Max-Littmann-Saal for radio broadcast on 30 July (‘Waterworks’) and a future date (‘Nordic Pulse’). The orchestra’s stay in Bad Kissingen also included a special ‘Waterworks’ school concert for more than 600 children. The ‘Nordic Pulse’ concert at the Kissinger Sommer festival on 7 July was a foretaste of the orchestra’s major ‘Nordic Pulse’ tour of Italy, Germany and Poland this September, when it will celebrate the independence centenaries of Finland, Poland and the three Baltic States with music by composers from these nations. In Bad Kissingen the Baltic Sea Philharmonic performed works by Kristjan Järvi, the contemporary Lithuanian composer Gediminas Gelgotas, and Tchaikovsky. The concert opened with Järvi’s Aurora, a piece inspired by the iconic Northern Lights, and closed with his arrangement of Tchaikovsky’s ballet Sleeping Beauty. Some 250 music fans had already had the opportunity to hear this arrangement on 5 July, when the Baltic Sea Philharmonic held an open rehearsal at the Landesmusikakademie Rheinland-Pfalz in Neuwied, Rhineland-Palatinate, the orchestra’s rehearsal base ahead of its appearances at Kissinger Sommer. 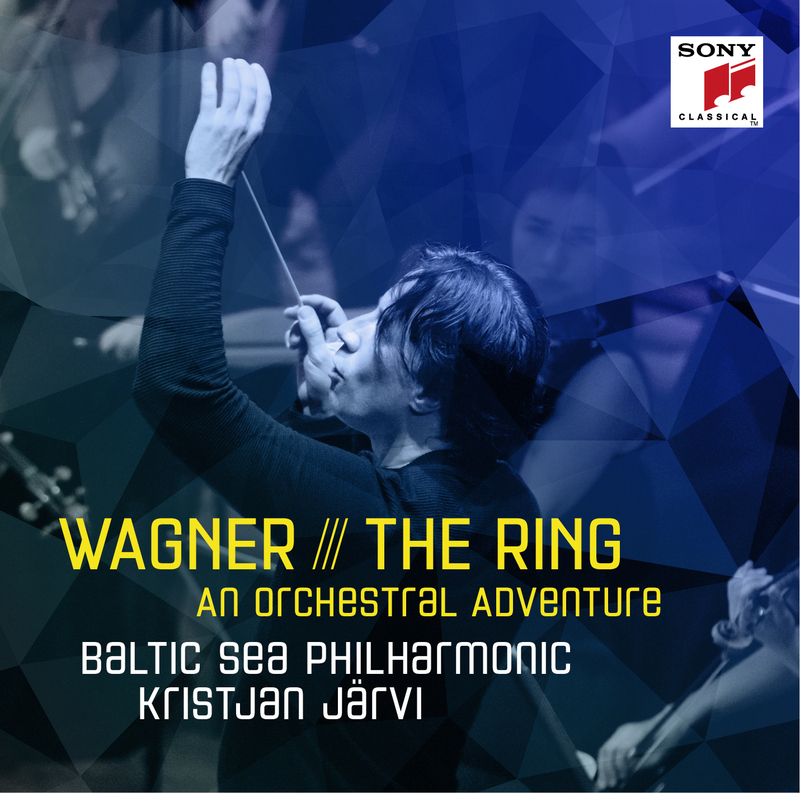 And music fans everywhere will soon have the chance to hear the work, as a live recording of the Sleeping Beauty arrangement, made at the Kissinger Sommer performance, is set to be released by the Baltic Sea Philharmonic later this year. The Baltic Sea Philharmonic won acclaim in 2017 for its water-inspired concert presentation ‘Waterworks’, a bold new fusion of music, light, visual art and sound design in collaboration with Sunbeam Productions. The orchestra and Kristjan Järvi brought ‘Waterworks’ to Bad Kissingen on 9 July with a programme of original arrangements of Handel’s Water Music and a new orchestral version of Philip Glass’s Aguas da Amazonia, a piece inspired by the great Amazon river and its tributaries. The Kissinger Sommer audience had never experienced anything quite like this immersive symphonic production, and the orchestra’s powerful performance, in combination with Bertil Mark’s lighting design and Holger Schwark’s sound engineering, thrilled concert goers and critics alike. Since its formation in 2008 the orchestra has always maintained a strong commitment to education and training, and this latest school concert builds on the ensemble’s extensive experience of performing to children in Denmark between 2015 and 2017. In cooperation with Danish Radio, the Baltic Sea Philharmonic played to around 16,000 young people from rural areas of Denmark, many of whom had never experienced a live orchestral performance. The Baltic Sea Philharmonic’s major ‘Nordic Pulse’ tour will take place this September as a double celebration. It marks ten years since the orchestra’s creation and 100 years of independence for the Baltic republics of Estonia, Latvia and Lithuania, as well as Finland and Poland. The tour opens with a concert at the Merano Music Festival in Merano, Italy, on 17 September. The orchestra then travels to Germany, where it will play in Munich for the first time on 18 September. After a performance in Halle (Saale) on 20 September, the Baltic Sea Philharmonic will open the 25th Usedom Music Festival in Peenemünde on 22 September. The tour concludes with a concert in Gdańsk, Poland, on 24 September. Norwegian violinist Mari Samuelsen will join the orchestra to perform two works by Estonian composers: Fratresby Arvo Pärt and Kristjan Järvi’s Aurora, in its concerto version for violin and orchestra. The programme also includes Polish composer Wojciech Kilar’s Orawa, Gediminas Gelgotas’s Mountains. Waters. (Freedom), the first movement of the ‘Rock’ Symphony by Latvian composer Imants Kalniņš, and Sibelius’s concert suite from The Tempest, in an arrangement by Kristjan Järvi. The orchestra will perform the Sibelius and Kalniņš pieces entirely from memory.